Tis the season for this brilliant rebloomer! 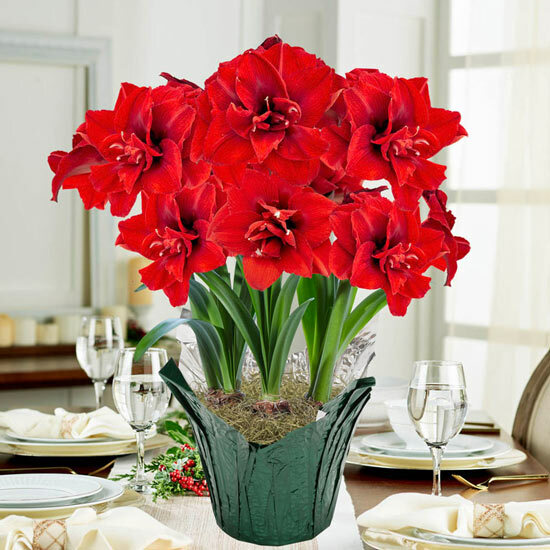 While the cold weather holds sway outdoors, warm up indoors near this blazing red beauty, which blooms throughout the holiday season. 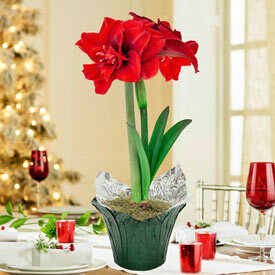 Our newest amaryllis has thick, budded stems that sturdily support its 7½", fully formed double flowers. Petals are slightly ruffled along the edges and elegantly tipped in white. Ideal on an entry table in a sea of Christmas knickknacks. Part of our Amaryllis Lovers™ Collection. 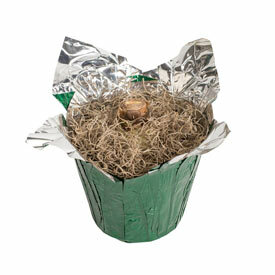 Arrives in a foil-wrapped, 6" nursery pot with detailed blooming instructions for this year and reblooming in years to come.